I've challenged myself to buy less clothing this summer. I want to start sewing more of my own clothes and to spend less money. Well, those of you that buy fabric know that it's not always cheaper to actually make your own clothes. So part of how I want to save money is to shop my closest. There are plenty of clothes I own, but rarely wear. This is for several reasons: they don't fit well anymore, they need repairing, or I'm just tired of them. If the garment is in relatively good shape, I want to start finding ways to make me want to wear them again. 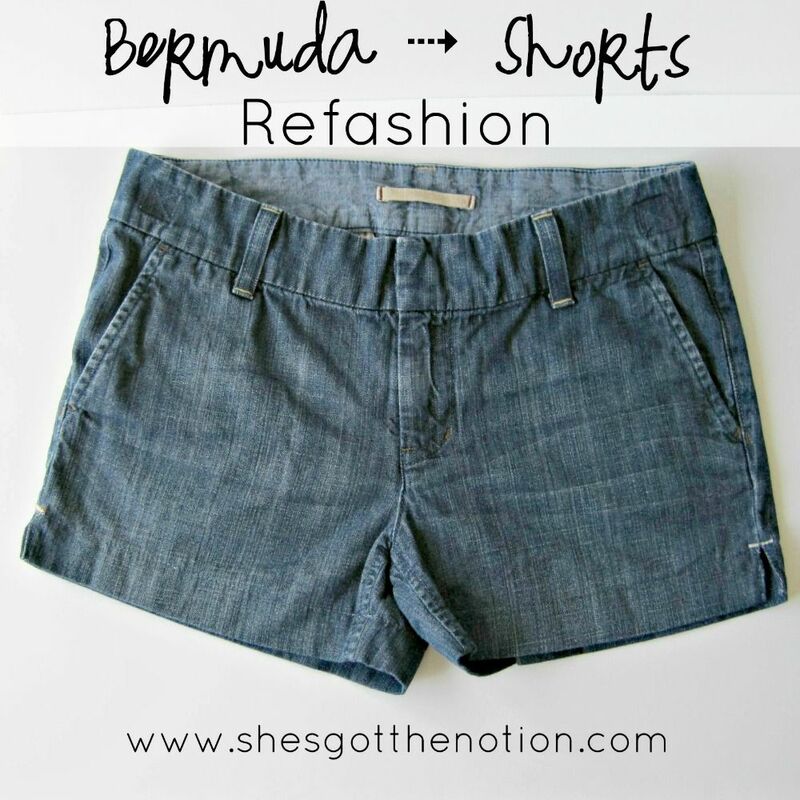 Like a lot of women, I jumped on the Bermuda shorts fad a few years ago. I was a little tired of shorts that barely covered my backside. I still own a pair I bought 6 years ago, but rarely wore. I really like the material and it cost a bit of money, so I held onto them. But they are not flattering on me at all. They are all wrong for my body type and don't fit correctly (I blame the fact I used a gift card to why I bought them in the first place). 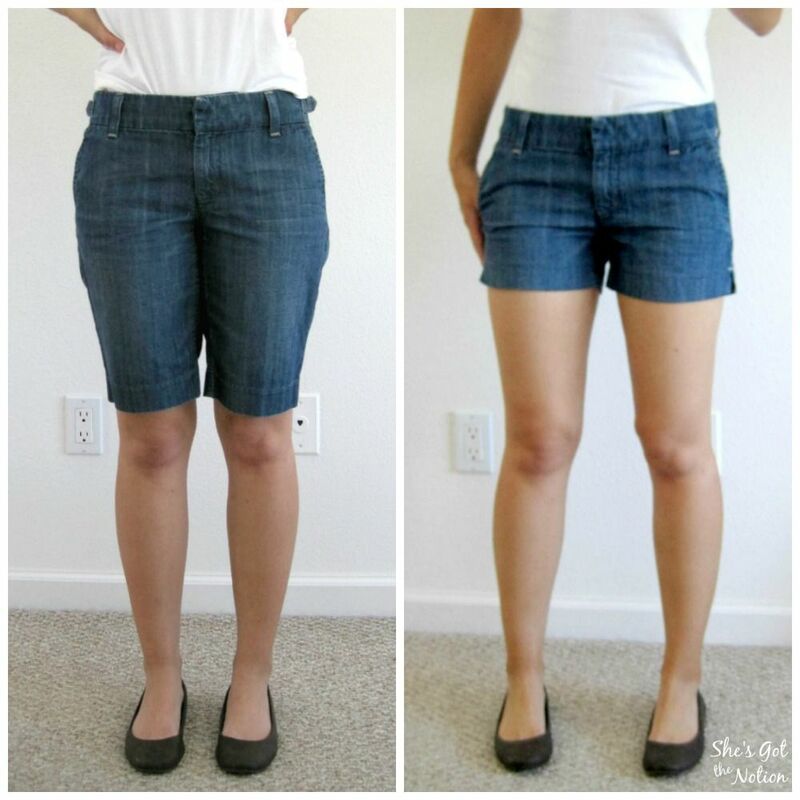 The first item I need to "fix" is these Bermuda shorts. I'm pear shaped, and as they are now the waist on me seems to be a size bigger than the thighs. It caused to them bunch unattractively. So, I thought that if I could turn them into shorts it would solve this problem--and it did if I say so myself. Just take a look at these before and after pictures. Ugh. 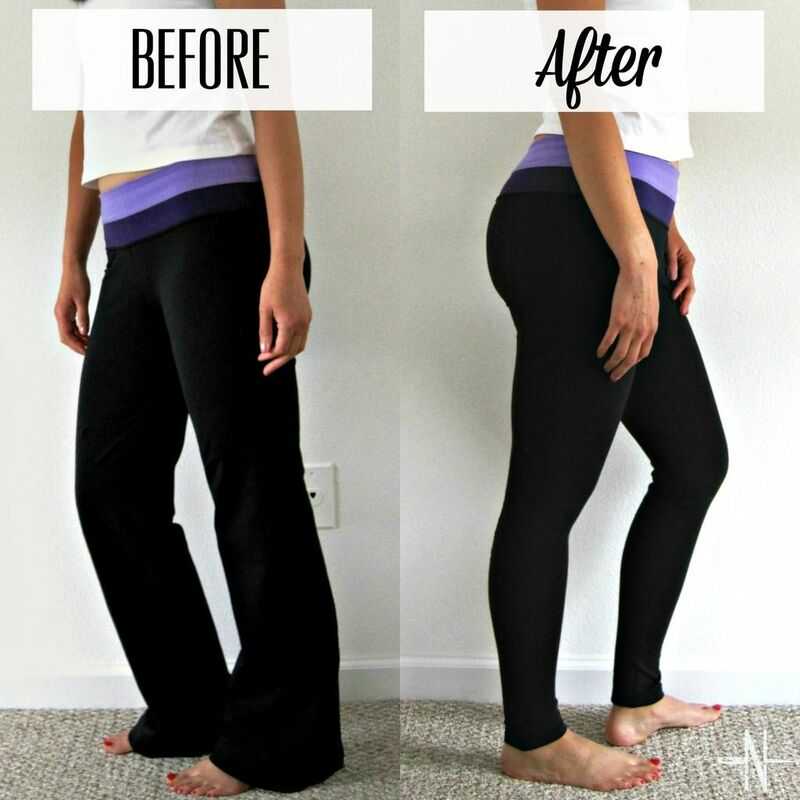 I really hate looking at the the 'Before' pictures. The first thing I wanted to fix on this shorts is the tabs on the side. I think they just add bulk where I don't need any more bulk. I took my seam ripper and removed them. It left a square dark mark on the front waistband of the shorts, but I like it because I think it gives the shorts character. The back was a little trickier because the tabs were sewn into the waistband. But I just undid the stitches, pulled out the tab, and then stitched the waistband back into place. Now let's get to turning them into shorts. The difficulty with doing this is that Bermuda shorts tend to narrow down the leg. It's difficult to hem garments that get narrower, so I decided to add side slits to help with hemming and for more ease. 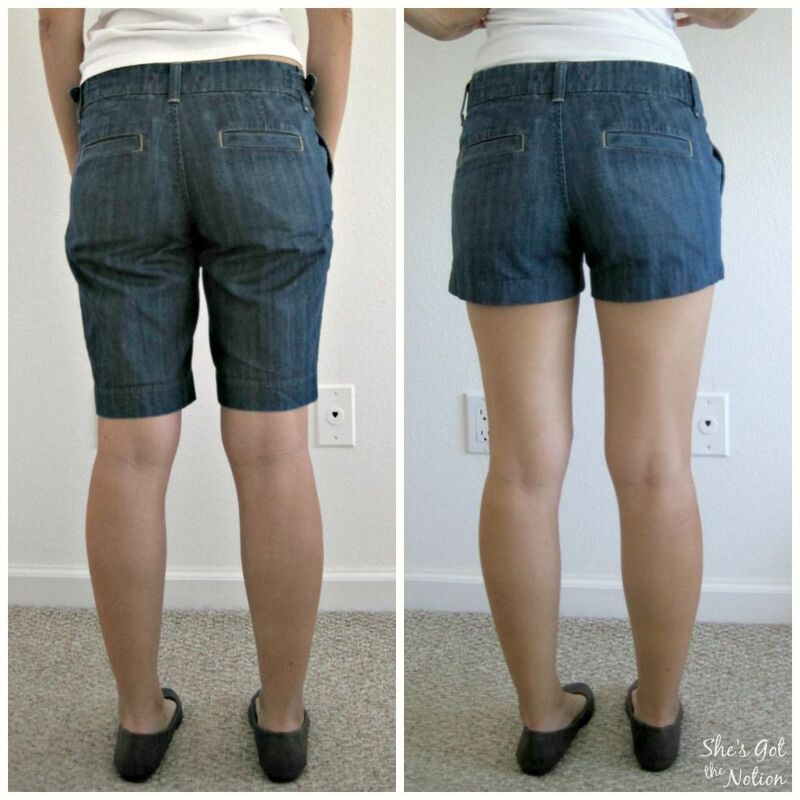 The first step to mark how short you want your shorts to be. 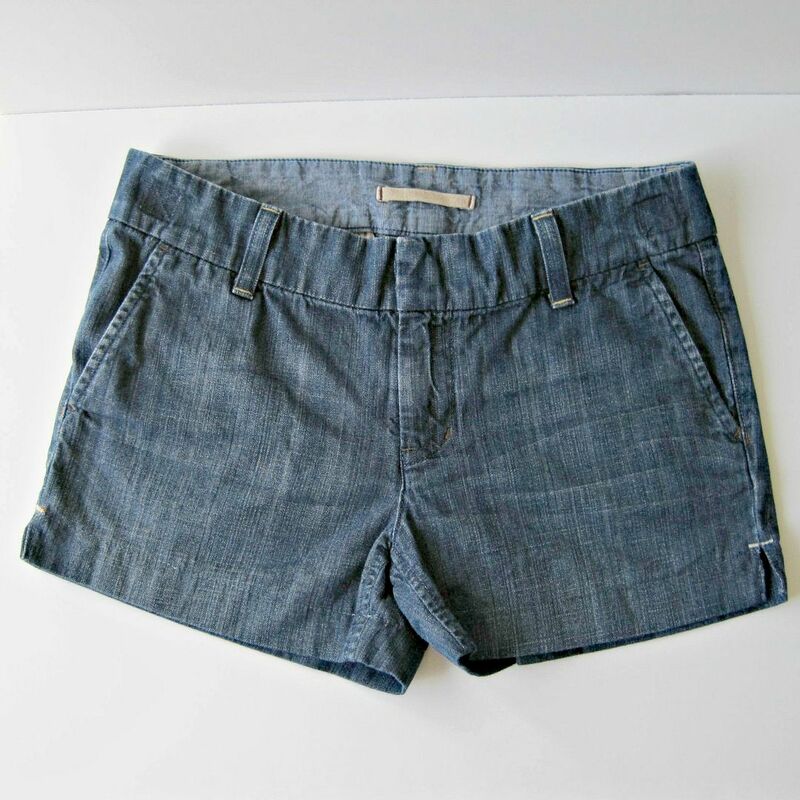 I choose a pair of shorts with an inseam I like as a guide. 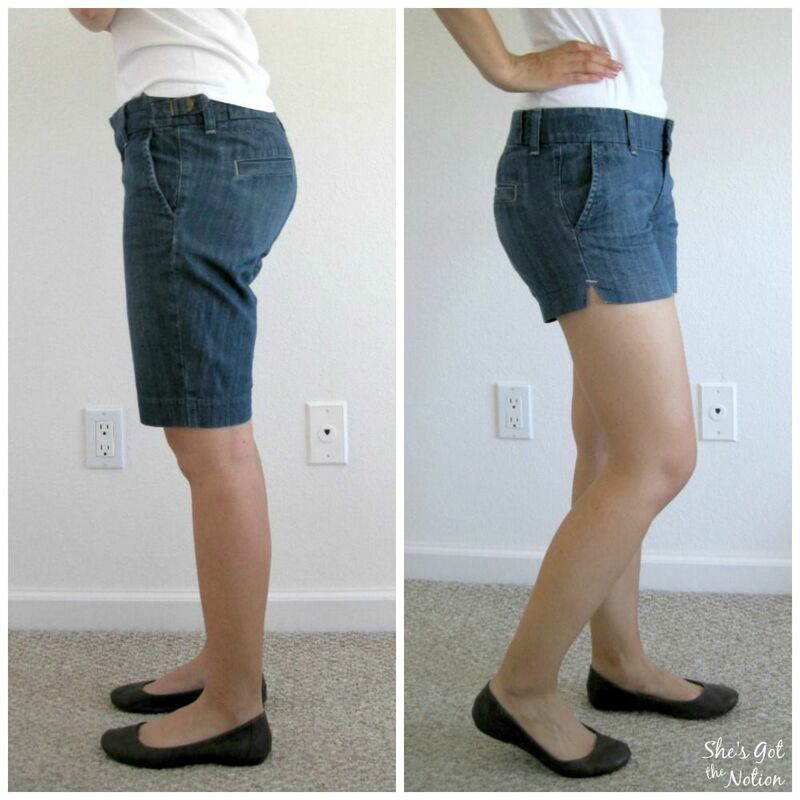 An alternative method would be to try on the shorts and mark how short you want them. I love this part about sewing your own shorts--you get to pick an inseam length that is the most flattering on you. Mark with tailor's chalk or a water soluble marker the hem line of the shorts. This will be the fold line. Next, decide how wide you want your hem to be, and whether you want to single fold or double fold the hem. I want my hem to be 1" and single fold, so I made mine 1 1/4". 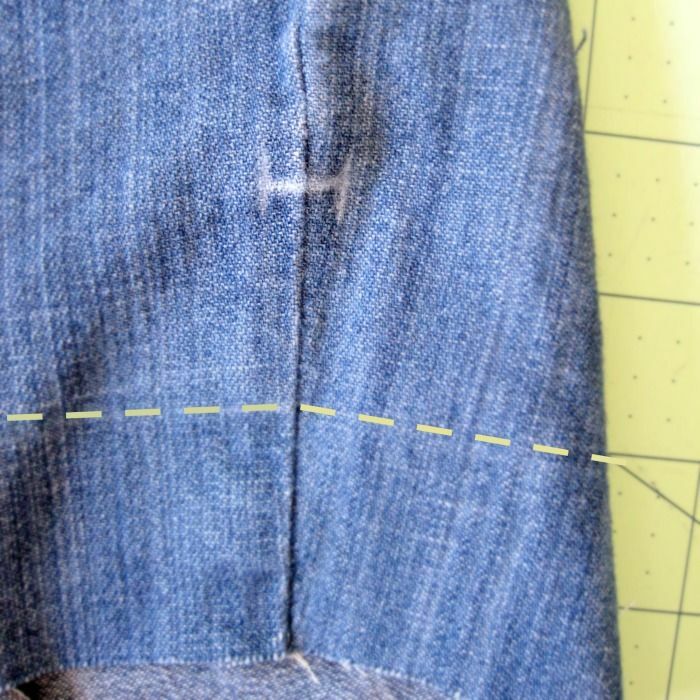 Mark a line the width of your hem below your fold line. So I made a second line 1 1/4" below where I wanted my shorts to hit. This is your cutting line. 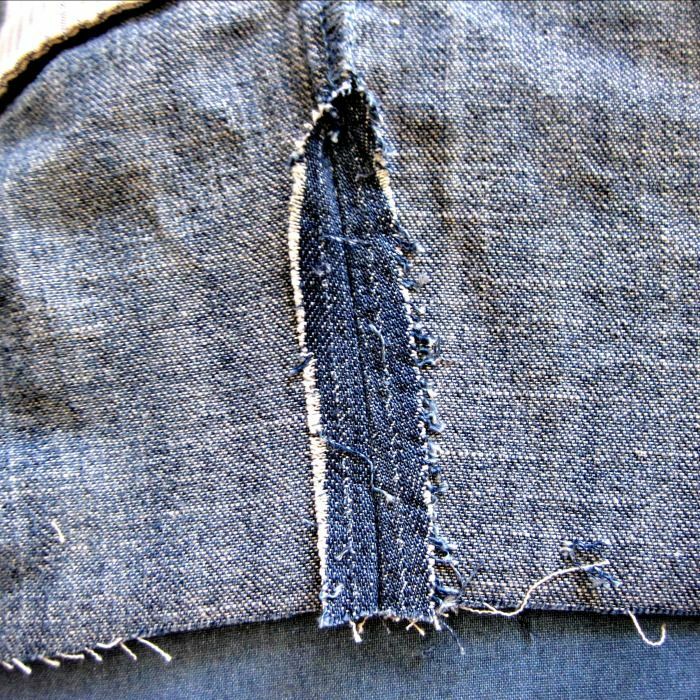 Cut off excess fabric below the line. 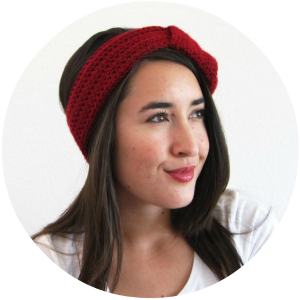 Don't throw away the cut off edge! Make a super simple and cute zipper pouch with the leftover fabric. Now it's time to make the side slit. Mark along the side seam how high you want your slit to be. I marked a line about 1/2" wide and about 1" above my fold line. 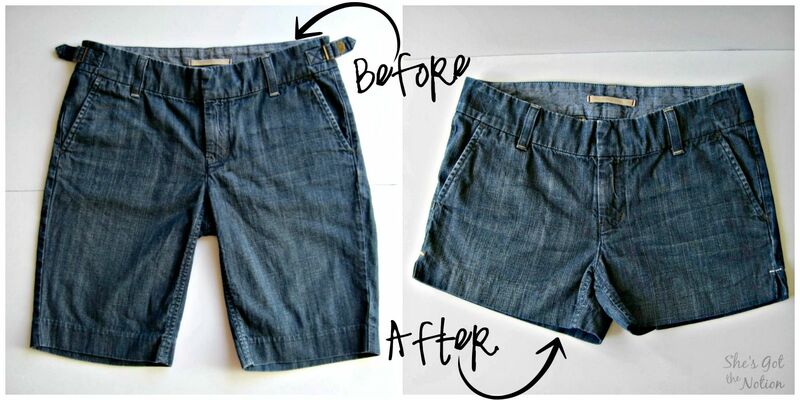 Turn your shorts inside out. My side seam was serged together, so I used a seam ripper to open up the seam to just above the top of the slit. Press seam open. Turn your shorts to the right side. 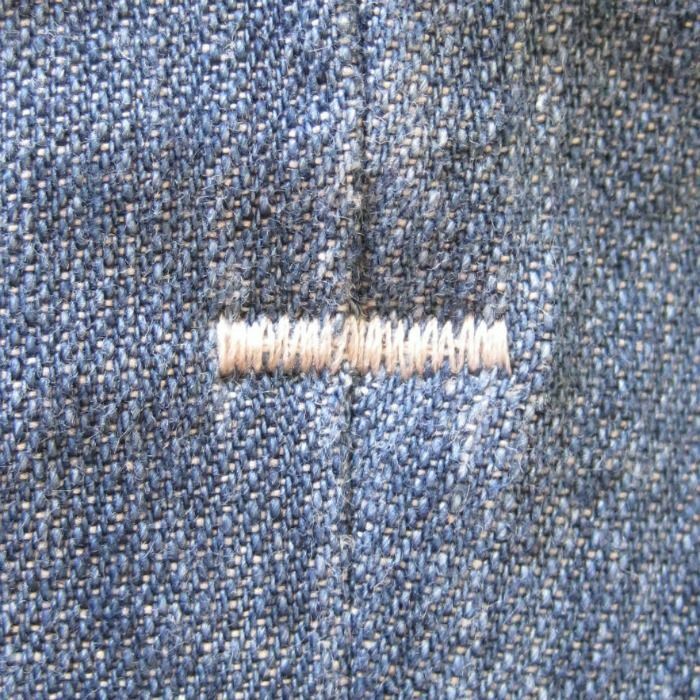 Using a narrow zig-zag stitch, secure the the top of the side slit. I used contrast thread that matched the other contrast stitching detail on the belt loops. You can use matching thread if desired. Note: If your sewing machine has a bar tack stitch, you can use that instead. My machine has one, but I couldn't get it to sew over the seam. It's a good idea to practice with the fabric you cut off first. 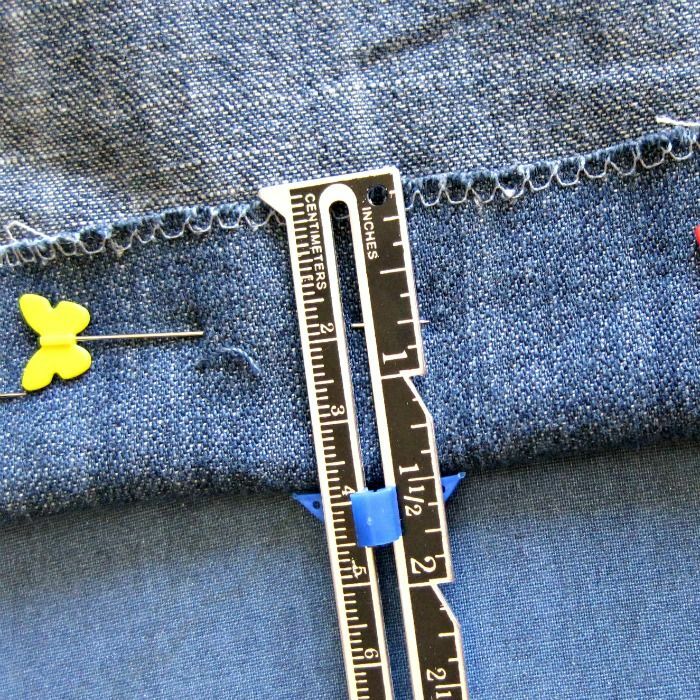 Using a seam ripper, carefully open up the seam up to the zig-zag stitching. Repeat for making the side slit on the other side. Now is a good time to finish your raw edges. Serging would be best if you have a serger (and I'm jealous). 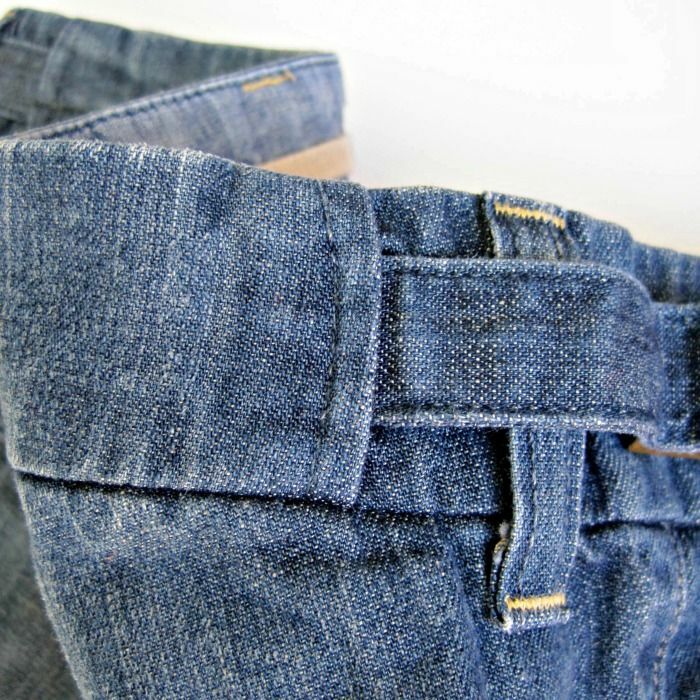 Otherwise, you can use an overcast or zig-zag stitch on your sewing machine. 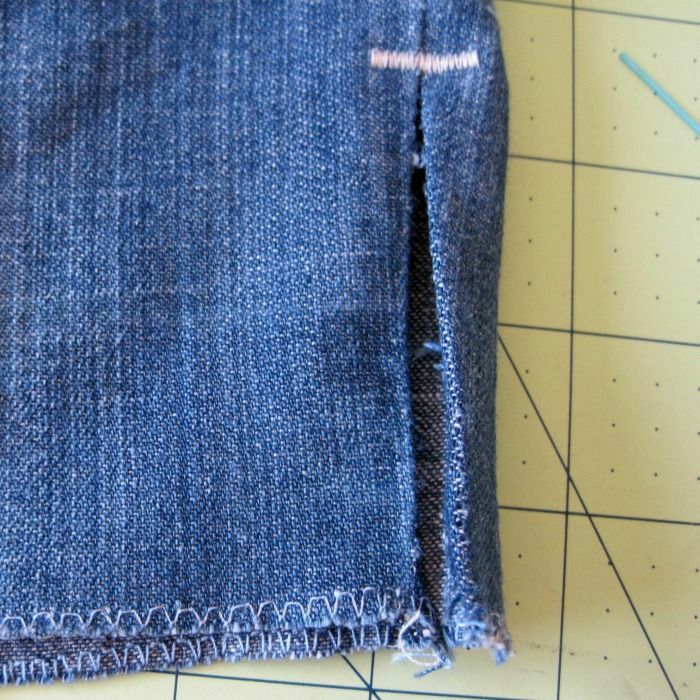 Fold up your hem along your fold line and pin into place. I'm single folding the hem to reduce bulk, but you can double fold if you want a cleaner finish. (Yes, I'm totally pinning the wrong way on the wrong side..but I forgot to take another picture after realizing my mistake.) The top of my inside hem ended up being about 1/4" shorter on either side of the side slit, so I'm happy I deciding to add the slit. 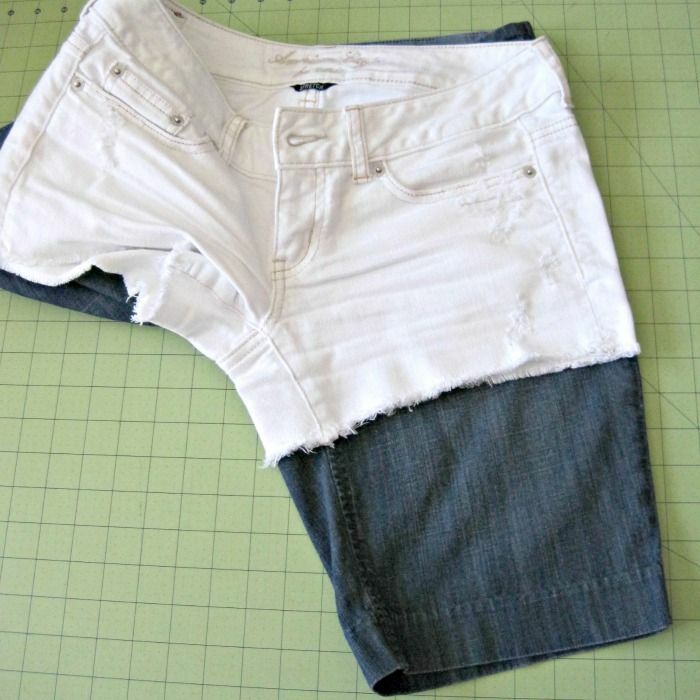 Turn your shorts right side out, and sew into place. I topstitched 1" up from the fold to catch the entire hem. 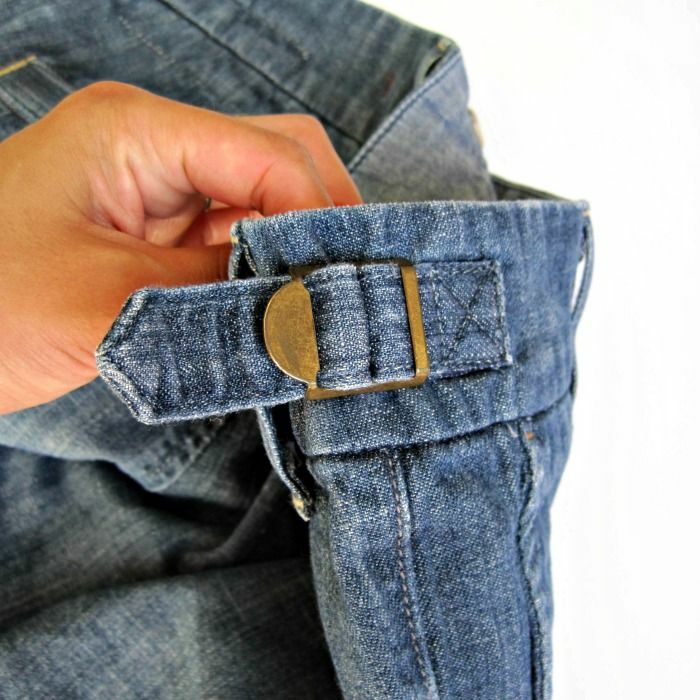 Sew a "V" shape up and down the side slits to secure the seam. I used denim thread so my stitches are nearly invisible on the fabric. Give your shorts a press and you're done!